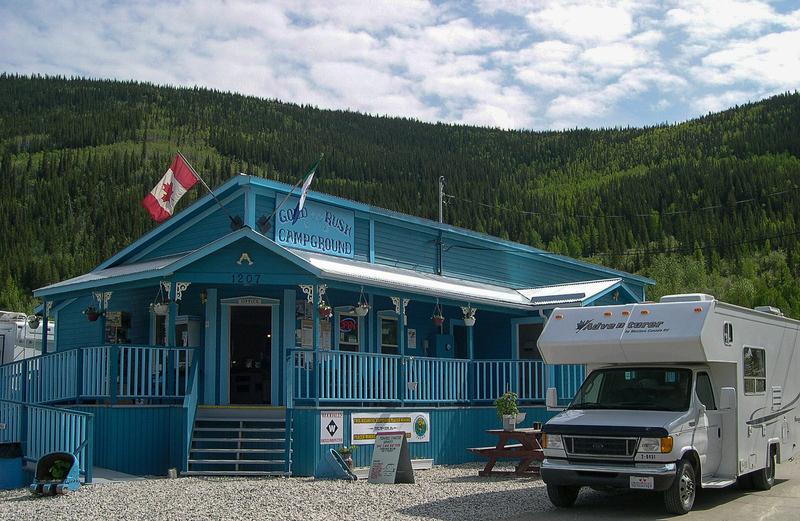 Goldrush Campground in Dawson City, YT. Come and discover the original site of the Klondike Gold Rush, and experience the best camping in the Yukon. Campground Current Rates: All Taxes Included. Overnight Yukon camping rates start at $27 and up. An estimated 60,000 people visit Dawson City each year, taking in the rich heritage and beautiful landscapes of the Yukon.